Join us for our community open mic hosted by Denisse Cotto-Reyes. 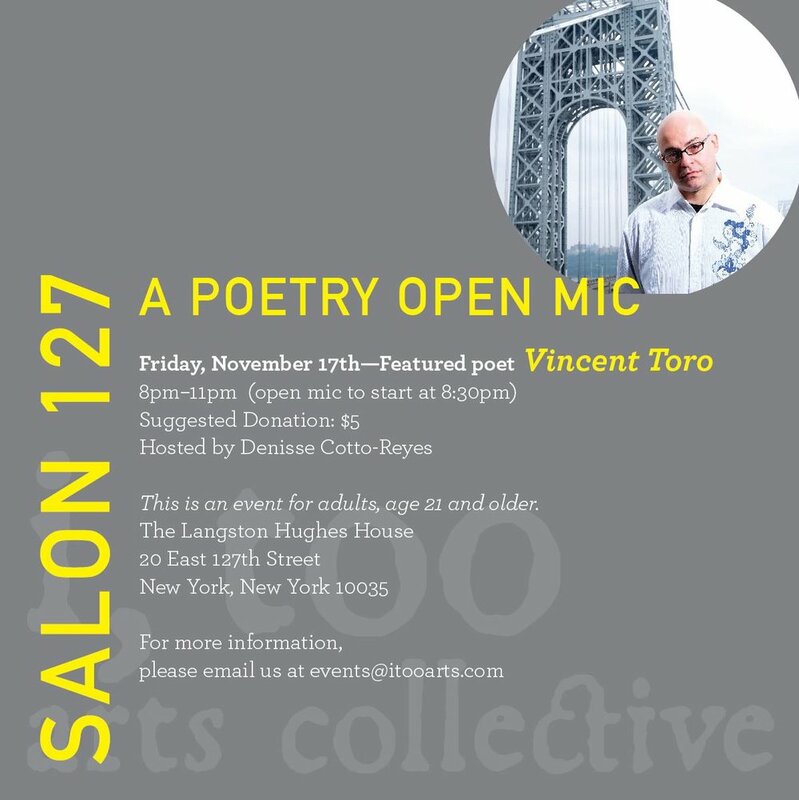 Our featured poet will be Vincent Toro. If you are interested in performing, please sign-up when you arrive.